The UAE and Latin America (LatAm) have strong potential to further expand trade and investment ties in the fields of agriculture, energy, technology and other sectors in order to reach a wider consumer base in Asia, Africa and Americas, top officials said on Tuesday. Speaking at the Global Business Forum Latin America 2018, Juan Carlos Varela, President of Panama, said while Dubai is the centre for the Middle East, Africa and India, Panama plays the same role in Latin America. "We are using Dubai as a gateway to the Middle East, Africa and Asia and want Dubai to use Panama to access the Americas for trade," Varela said. He said there are a lot of synergies between Dubai and Panama and both can bring the two regions closer to increase trade and investments. He confirmed Panama's participation in Expo 2020 with a large delegation participating. Reem bint Ebrahim Al Hashimy, UAE Minister of State for International Cooperation and Director-General of Expo 2020 Dubai, said Expo 2020 would provide an unprecedented opportunity for countries in the Arab world and Latin America to redefine themselves on a global scale. She also pointed out unique advantages and expansion opportunities the UAE can offer Latin American countries, such as its strategic geographical position, strong expertise in smart governance and tourism, support for SMEs as well as expanding cooperation in agriculture sector. Dubai's non-oil trade with Latin American countries has increased significantly in recent years, amounting to Dh130 billion between 2010 and 2016. The two-day forum will see the participation of 10 heads of states, 84 ministers and dignitaries and more than 160 speakers. Hamad Buamim, president and CEO of the Dubai Chamber of Commerce and Industry, said more Latin American businesses are looking to leverage Dubai's position as a trade hub to expand their global footprint. He said the Dubai Chamber had 405 member companies from Latin America in 2017, compared to only 157 companies in 2016, marking a growth rate of 158 per cent. A total of 101 companies were from Brazil, 88 from Panama, 55 from Belize, 50 from Venezuela, 36 from Argentina, 25 from Colombia, 21 from Mexico and 6 from Chile. 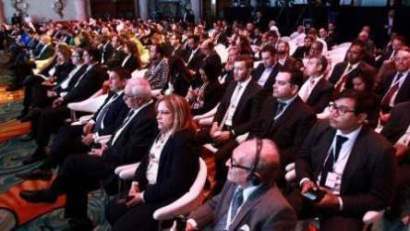 Susana Malcorra, former foreign minister of Argentina, said integration among Latin American countries is faster now, therefore Arab investors should take advantage of it and diversify portfolios by increasing exposure to Latin American economies. Latin America is looking to other parts of the world, including the Middle East, to drive economic growth in many sectors, including technology, agriculture, food security and supply chain, mining, tourism and energy, in addition to renewable energies, she said.